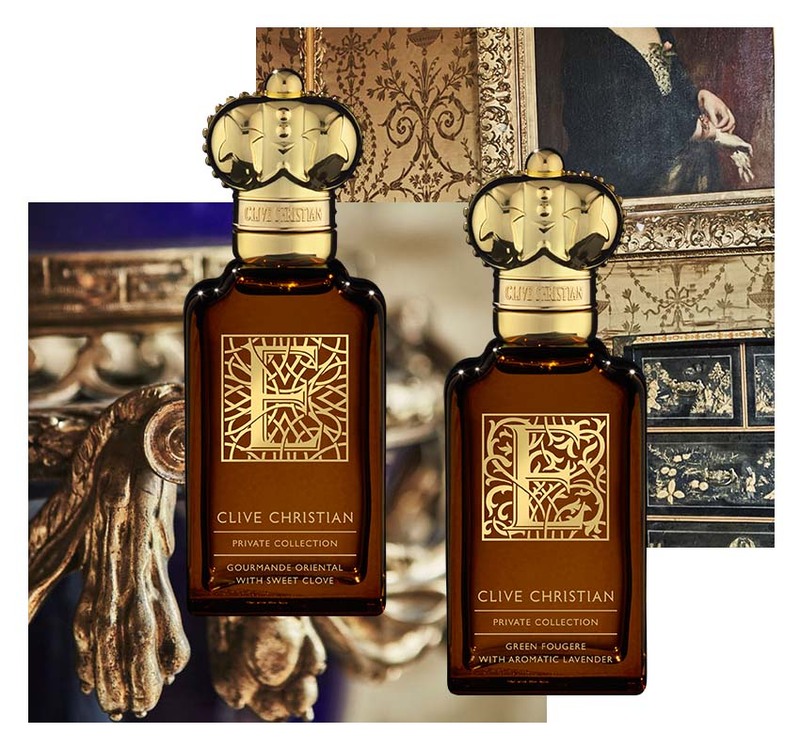 Inspired by the craftsmanship behind the Clive Christian furniture design and the royal recognition by the Queen of England – the new I & E perfume pairs sits within the Gourmande Oriental and Amber Oriental fragrance families. 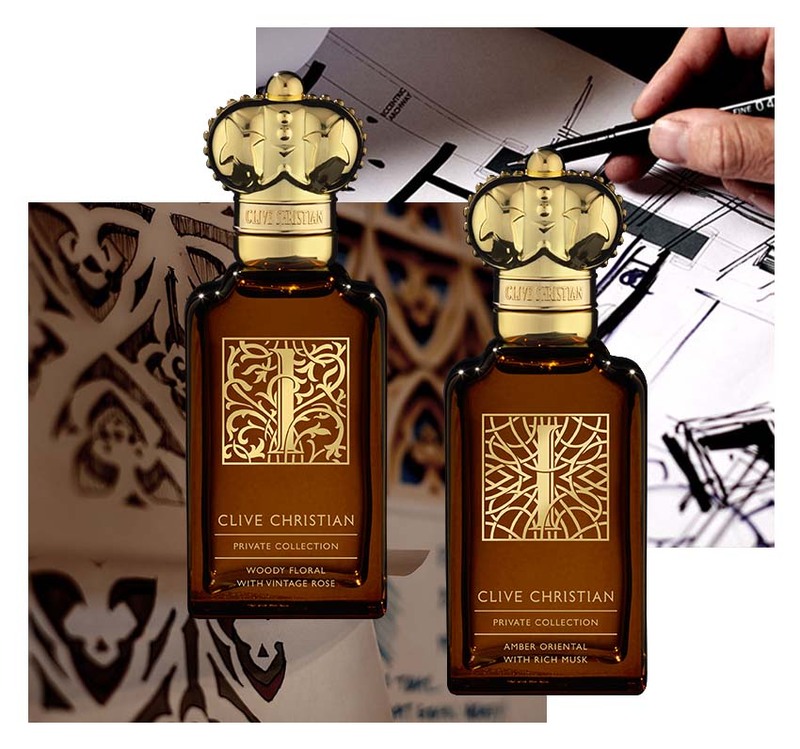 The Private Collection I perfumes are inspired by the true craftsmanship that lies behind the Clive Christian furniture designs. The perfumes conjures all the intoxicating scents of a master workshop, and beyond it. Atlas cedar and fir balsam form the start of a sensory journey from the carving of the intricate wood panelling, smelling the rose-like aroma of scented woods to caressing the textured leather trims. 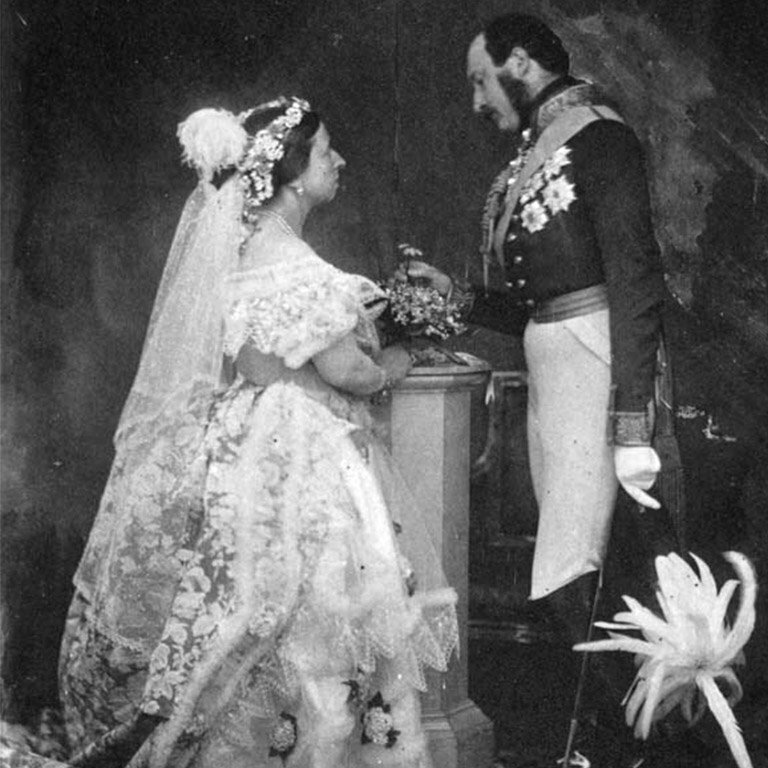 The Private Collection E perfumes are inspired by the opulent interiors and the royal garden of Buckingham Palace, where Clive Christian received his OBE for service to luxury British design, the perfumes perfectly encapsulates the aura of excellence that per matured this most auspicious of occasions. I Amber Oriental has a heart of vibrant spices, warm divana and rich dried fruits. The base notes of the perfume comprises fir balsam, mosses and atlas cedar surrounded by warm leather, vanilla and tonka with long lasting frankincense, patchouli and sandalwood. Bergamot, grapefruit and mandarin add a zesty sparkle with tagetes and pineapple adding a modern feel. I Woody Floral has fresh citrus top notes of bergamot and mandarin, combined with touches of modern red fruits and sparkling spices such as cardamom, pink pepper and black pepper. The heart offers a pretty floral bouquet of jasmine, lily of the valley, orris and rose on a rich woody base. E Gourmande Oriental – is an intensely warm and rich fragrance built around a rich ambery whiskey character. 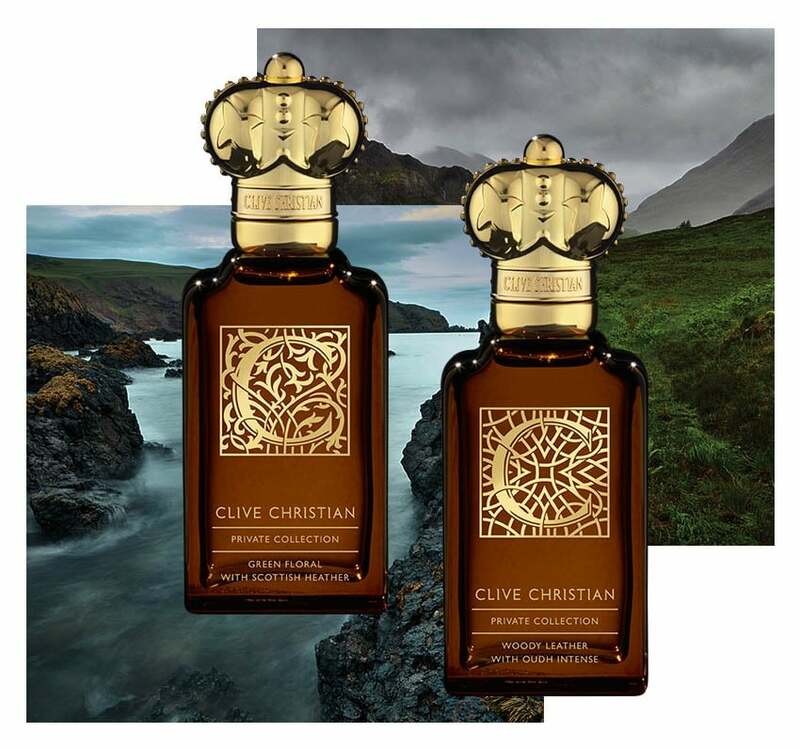 Top notes of fruity rum and peach, and heart notes of labdanum, cade, clove and cinnamon. The base notes combine fruity tones of wine and oak barrels with patchouli and oakmoss. Green Fougere – a perfume reminiscent of the fresh outdoors it has a heart of classic rose and narcissus notes throughout. Fruity nuances of pineapple and fir balsam give interest to the top note whilst notes of acaia and orris give softness and sensuality.